Reading the glossies! Add mega shine, color, and moisturizing luster to lips with this amazing ultra-glossy lip gloss formula (that’s a mouthful!). 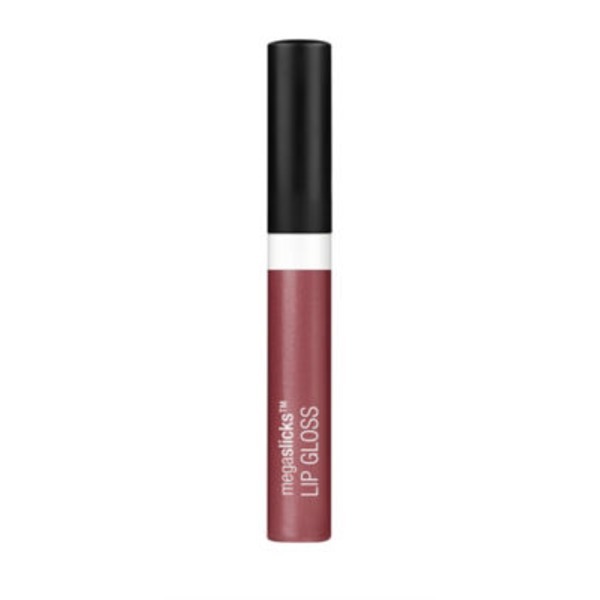 This high-shine gloss in a wide variety of fashion-forward colors will leave a long-lasting sheen on your lips. This little beauty can be worn alone or over lipstick to add a slick look, and it tastes oh-so-sweet! Polybutene, Triisostearyl Citrate, Mineral Oil, Dimer Dilinoleyl Dimer Dilinoleate, Triethylhexaxnoin, Silica Dimethyl Silylate, Ceresin, Pentaerythrityl Tetraisostearate, Trihydroxystearin, Butylene/Ethylene/Styrene Copolymer, Ethylene/Propylene/Styrene Copolymer, Phenoxyethanol, Sorbic Acid, Tocopheryl Acetate, Ethylhexylglycerin, Tocopherol, Fragrance, Mica, Titanium Dioxide/CI 77891. [+/- (May Contain): Iron Oxides/CI 77491, CI 77492, CI 77499, Yellow 5 Lake/CI 19140, Red 30 Lake/CI 73360, Red 28 Lake/CI 45410, Yellow 6 Lake/CI 15985, Red 6/CI 15850, Red 7 Lake/CI 15850, Carmine/CI 75470].